Nandgaonkar has blamed the drivers who have migrated from the north, especially, from Uttar Pradesh (UP) and Bihar for such injustice taking place with the citizens of Maharashtra. The video shows that the MNS leader forced an apology out of Rai and slapped him multiple times. The leader has requested all the citizens of Mumbai and Maharashtra to raise their voices against these injustices and has assured that he will fight against injustice by bashing the rickshaw drivers whenever needed. Rising menace of unruly auto rickshaw drivers have become a big distressing factor for regular commuters in Mumbai’s Bandra Kurla Complex (BKC). 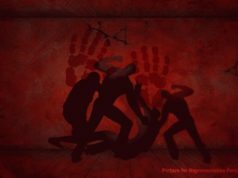 One such incident that resulted into a humongous outrage among Mumbaites is an alleged beating of a young passenger by a rowdy auto driver in Bandra. 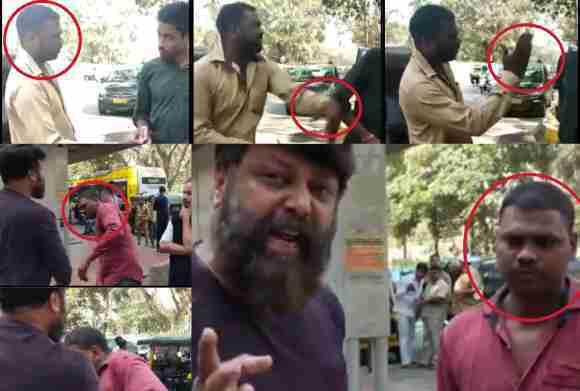 A video of this incident, as soon as shared on social media, got adversely viral and a majority of netizens showed their rage against these errant and goon-styled auto drivers. The internet was flooded with angry comments on the incident for the last couple of days. However, before the matter could have become another dark dream of our lives and rested as an unsettled case, another video again hyped the buzz on social media, this time around with applauds for someone who stood as a messiah for the passengers. People started sharing both the videos as pre and post the violent arrogance of the auto driver. The passenger who was roughed up by the accused auto driver could not be identified but the man who stood for the passengers introduced himself as Maharashtra Navnirman Sena (MNS) leader, Nitin Nandgaonkar, who could be seen rebelliously slapping the accused auto-rickshaw driver identified as Vinod Kumar Lalji Rai. As seen in the first video, the shared auto-rickshaw driver, Rai, drops the youth passenger to BKC and asks him to pay Rs. 10 more than the actual fare of Rs. 20 for the Kurla-BKC ride. Upon refusing to pay the extra fare, the auto rickshaw driver manhandles, forces him back in the vehicle and slaps the young passenger. Shaken by the assault, the passenger pays him the extra amount and the rickshaw driver leaves the spot. 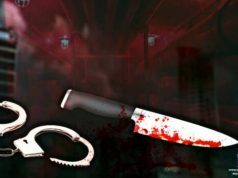 The video is captured by a bystander and within a very short span of time, the video went viral on all the social media platforms. 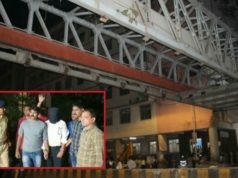 After which the MNS leaders, Nitin Nandgaonkar and Akhil Chitre, took cognizance of the incident and approached the Bandra police to seek action against the accused rickshaw driver. However, the police refused to take any action against Rai due to lack of complaint from the victim. 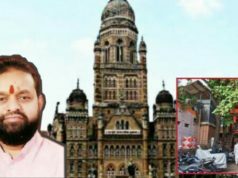 Consequently, Nitin Nandgaonkar and Akhil Chitre along with other MNS leaders tracked down the auto rickshaw driver and thrashed him at the same spot and warned him for not repeating this act and recorded it. Nandgaonkar has blamed the drivers who have migrated from the north, especially, from Uttar Pradesh (UP) and Bihar for such injustice taking place with the citizens of Maharashtra. The video shows that the MNS leader forced an apology out from Rai and slapped him multiple times. The leader has requested all the citizens of Mumbai and Maharashtra to raise their voices against these injustices and has assured that he will fight against injustice by bashing the rickshaw drivers whenever needed. He didn’t stop there, he stepped ahead to warn the rickshaw drivers watching the incident from the sidelines about similar consequences if their arrogance against passengers continue. 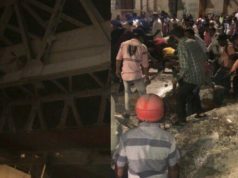 When Ajanta News called the MNS leader, Bala Nandgaonkar, to get his views on this incident, he refused to comment on the issue. The Auto rickshaw driver has been called for questioning and is likely to face some legal actions. Transport Minister, Diwakar Raote, has recommended the suspension of Rai’s driving license and sought police action against him. Moreover, Rai and the owner of the auto-rickshaw, Kamal Bahadur Shaikh, are being served notices. The video has been shared for about 7,500 times, viewed by 230 people and liked by 23k users on his Facebook page at the time of reporting. This is not the first time when the leader has taught a lesson to the errant and unruly taxi and rickshaw drivers in Mumbai. There are several incidences in the past where the MNS leader was seen fighting for justice for the citizens of Maharashtra.